Among the most important ways that they do so include the process of transpiration, in which trees draw water from the ground and pump it into the air and through the shading abilities of their leafy canopies, which shield your home and yard from the sun’s scorching rays. Accordingly, planting shade trees on your property will not only make it more comfortable, the reduction in temperatures will help to lower your cooling costs. The problem is that large, most of these benefits do not really start coming to fruition until the trees grow and mature. Because mature trees can be very expensive to purchase and install, many homeowners seek out species with rapid growth rates. To that end, we have prepared a list of eight species that are likely to thrive in Northern California and grow quickly. While none of these trees are native species, they are not invasive, nor do they cause significant environmental damage. The graceful, drooping branches and leaves of weeping willows are unmistakable. Though they adapt well to the Bay Area, these trees do require wet to moist soil, so consider planting them in low-lying areas on your property. These beautiful trees appear to shimmer in the wind, courtesy of their long petioles connecting the leaves to the branches. Quaking aspens do best in cooler, high-elevation locations. While considerably smaller than their similarly named relatives, dawn redwoods grow to about 70 feet in height. Having been around since the time of the dinosaurs, these interesting trees were thought to be extinct until a small population was found growing in China. 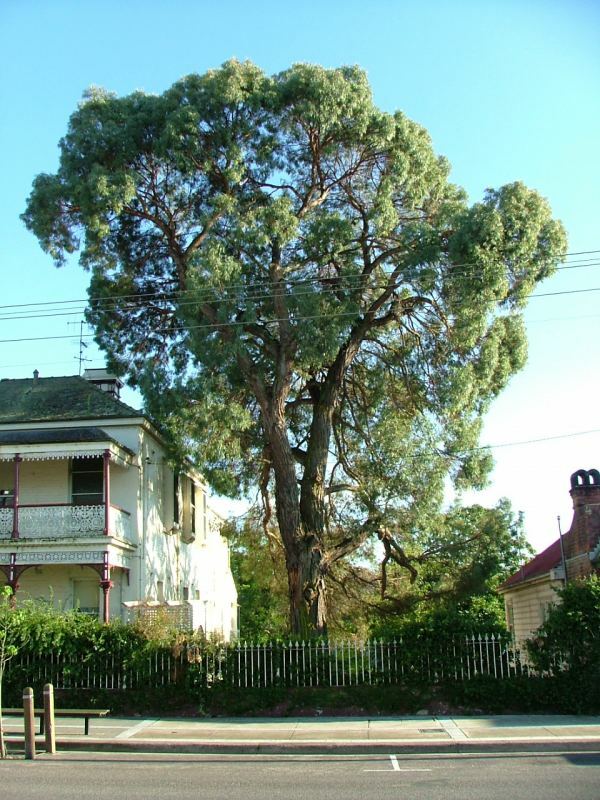 Named for their fragrant leaves, these Australian trees quickly grow to heights of about 50 feet. 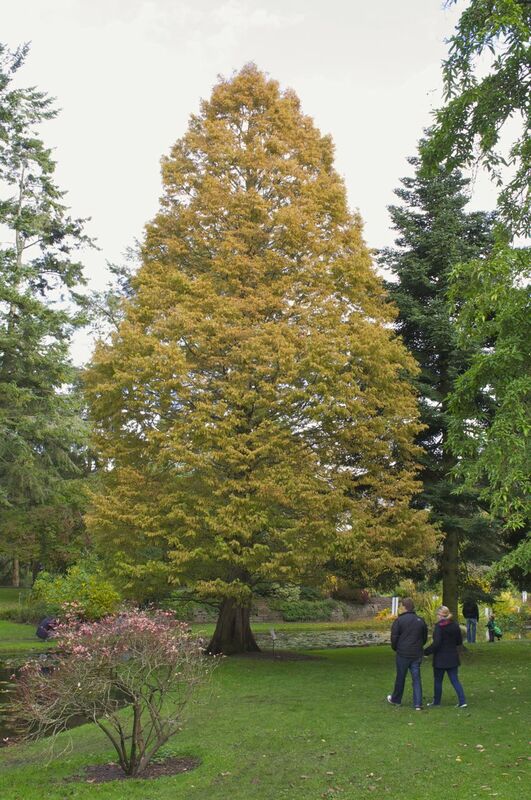 One of the best features of these trees (aside from their picturesque form) is their drought tolerance, which makes them wonderful for California plantings. Another drought-tolerant species, pepper trees are relatively short-lived trees, who may reach 50 feet in height on good sites. Although they are not native, the California Invasive Plant Council rates their invasive potential as “limited.??? Unlike some of its cousins, the edible fig remains small enough to be manageable, as they rarely eclipse 25 feet in height. Unfortunately, these large trees do produce copious amounts of fruit, which some homeowners may find to be a labor-intensive problem. 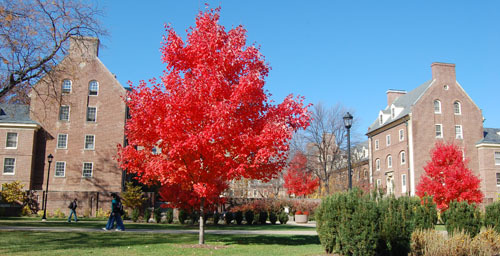 One of the most beautiful of the maples, red maples bear some red feature during most parts of the year. Although they prefer moist soils, these east coast natives may thrive in the Bay Area, and they are hardy, beautiful and fast growing. After purchasing your new trees, you will need to plant them correctly, to ensure they adapt well to their new surroundings. You can certainly plant trees yourself, as long as you learn the correct methods for doing so, but Bay Area residents needing tree installation can simply give Arborist Now a call. Our ISA-certified arborists can help guide you through the entire process, and ensure your trees have a great chance to thrive in your yard.